Our collection of popular, fast casual restaurants will satisfy any craving at any time of day. 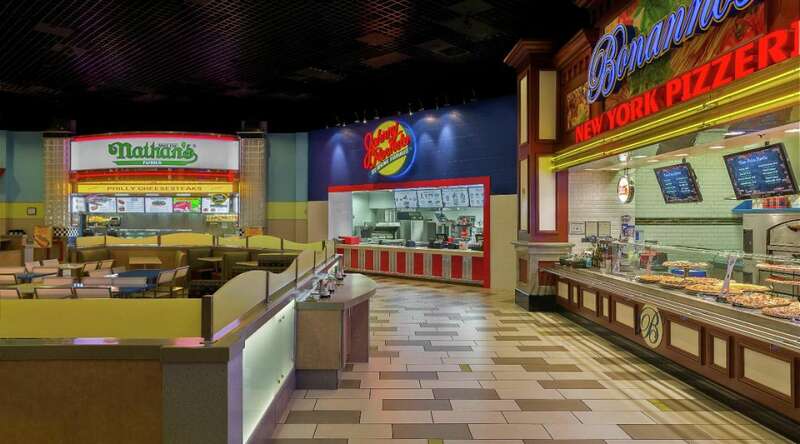 From Coney Island to Hong Kong and everywhere in between, the food court has the familiar staples that everyone loves. Pan Asian Express is a modern Asian bistro with made-to-order stir-fry, dumplings and noodles. On the menu, you’ll find classic Asian favorites like Orange Chicken, Kung Pao Chicken, Beef and Broccoli and Crispy Cashew Shrimp. Using only the finest ingredients and purist flavors from around the world, Häagen Dazs scoops up the best all natural ice cream along with classic Gelato, Sorbet and Frozen Yogurt. For those on a health kick, there’s fresh fruit on hand to create a protein rich smoothie. Featuring fresh, hand-made tortillas and deliciously strong frozen margaritas, T&R is sure to please. Open for breakfast, lunch and dinner, they’re always serving up their own version of Mexican staples with a twist like sweet pork barbacoa and chili beef carnitas. 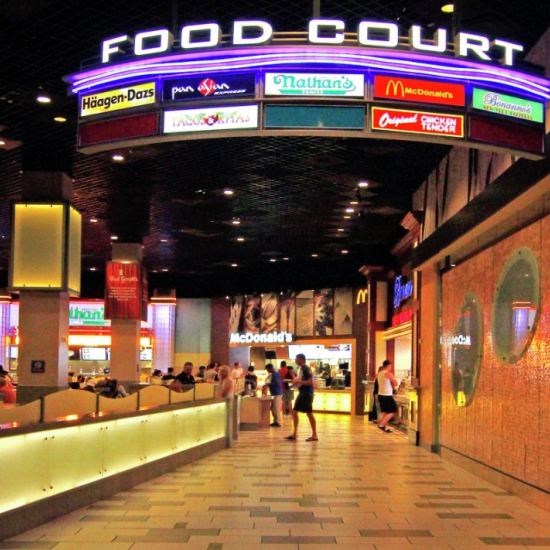 The Food Court is located in The District. Walk into the Casino and at turn right just past Lobby Bar. Continue past Concierge towards KA Box Office. Pass Wolfgang Puck and turn right, towards the District. Continue through the District past Craftsteak. The Food Court will be on your right, just before Starbucks. Enter the resort from Las Vegas Boulevard. Walk towards Centrifuge and stay to the left passing The Buffet. Continue through the Casino, passing Jabbawockeez Theater. Walk towards Avenue Café. Continue past CRUSH. Turn right when you reach L’atelier and continue through the Casino towards the District. Continue through the District past Craftsteak. The Food Court will be on your right, just before Starbucks.